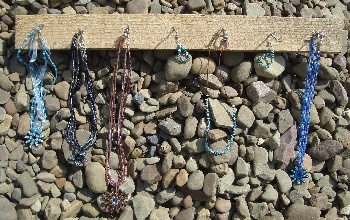 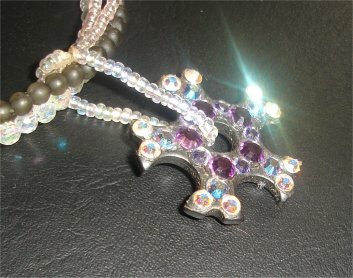 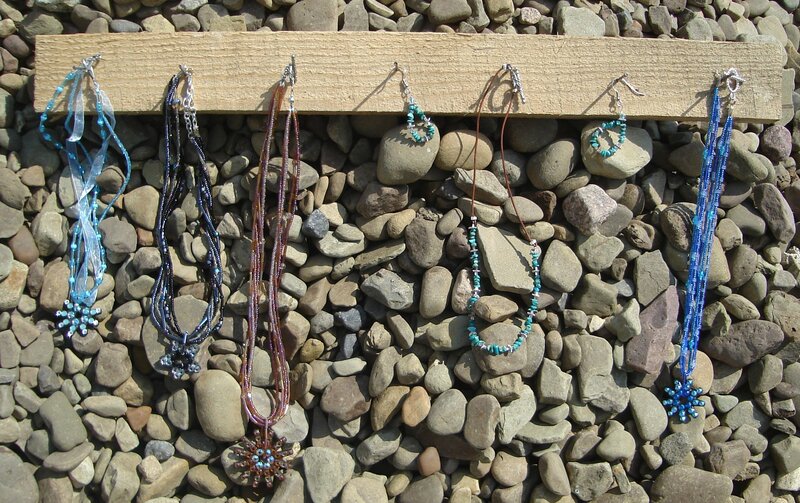 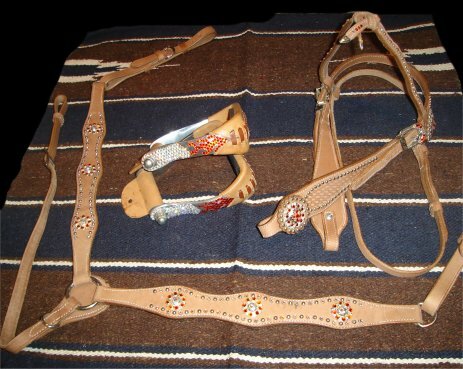 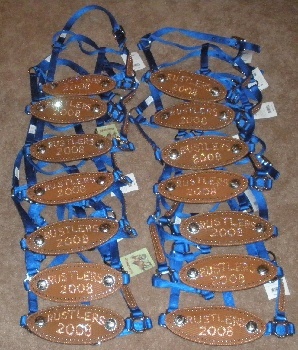 Design your own custom tack and jewelry for yourself or for drill teams, awards etc.--by the set or one piece at a time. 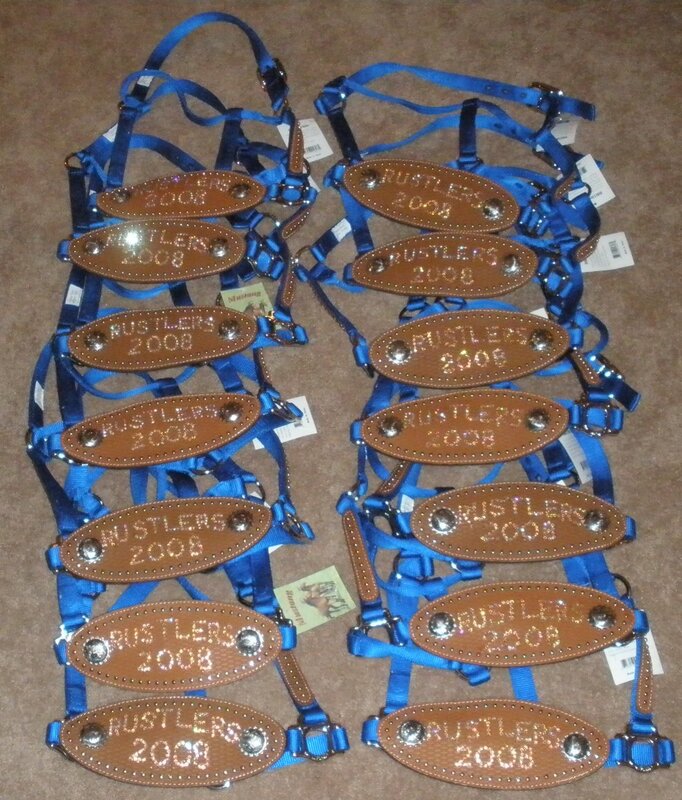 Bronc halters for the Rustlers drill team in Center, TX. 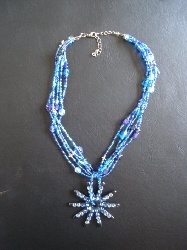 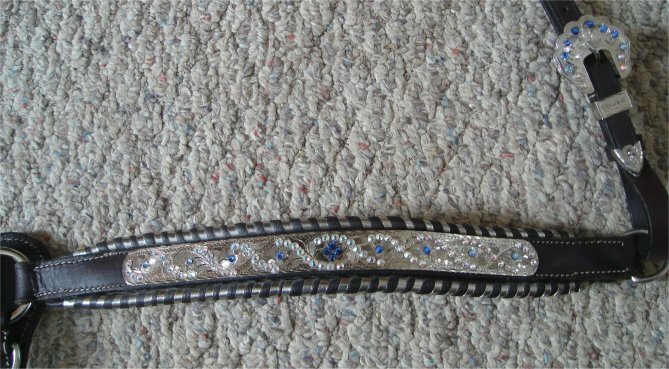 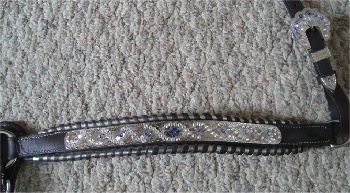 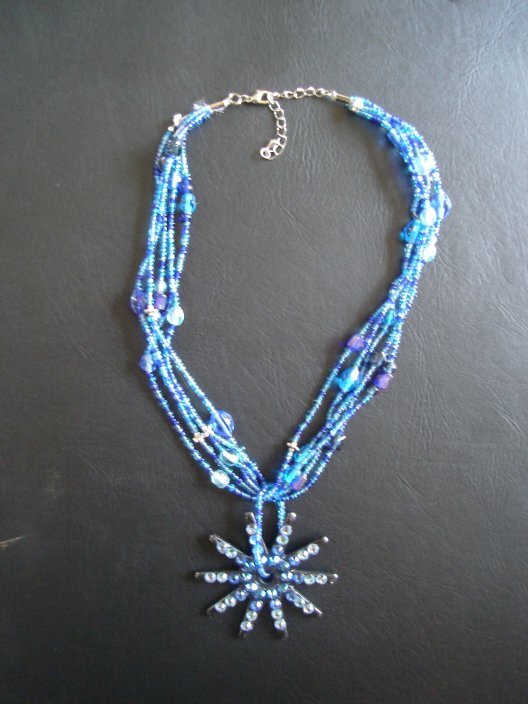 Spur rowel necklace designed for Sierra Kuzminski, 2x Blue Ridge Quarter Horse Queen and Congress Queen Contestant. 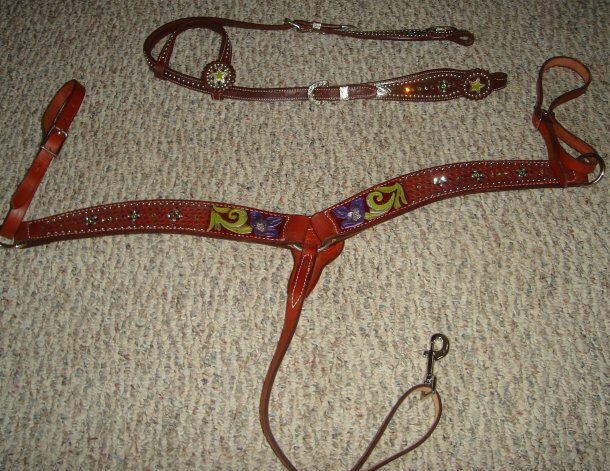 Purple and lime hand-painted headstall and breastcollar. 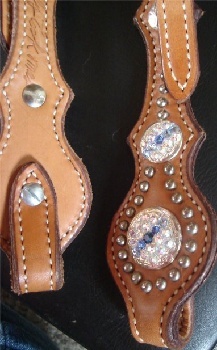 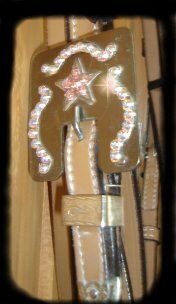 Flamin' stirrups with matching headstall and breastcollar designed for Jamie Wurst, Perkinston, MS.